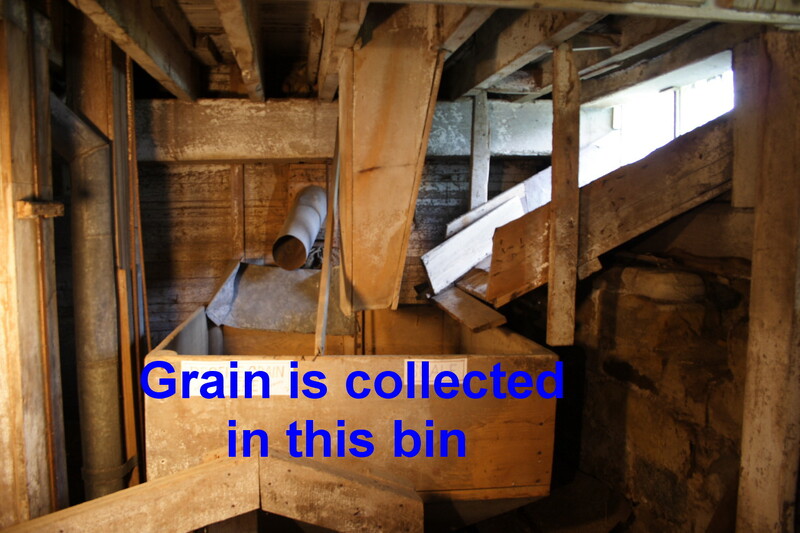 The grain received from the cars is poured into a trough next to the track, sliding into a hopper , and when weighed dropped into a receptacle connected with the elevators that speedily deposit it into huge storage bins on the top most floor. The second story has a novel arrangement termed a “Middlings Purifier” which screens the shorts on an approved plan and materially increases the yield of superior flour. There are also bins for storing feed and bran on this floor, as on the one above, in which the beltlag machinery is placed. 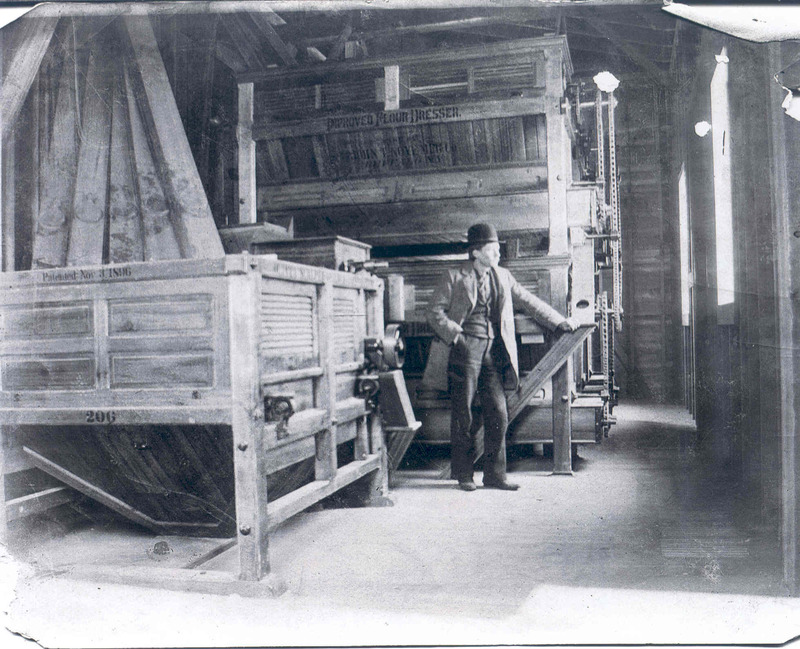 Pictured below, I believe, is Newton A. Carroll II (1894) on the second floor of the Mill. Does anyone have information on him?